This dictionary’s content is more comprehensive than the Robert Collins, but the interface is clunky. For example: instead of having the search bar always available, you must click on the search icon to bring it up and delete the old search term. This extra step is annoying if you are translating a longer passage. The verb conjugation tables are adequate, but not as handy as using a dictionary with a nearly unlimited conjugation engine. In addition, the app pricing information is confusing. I’m not a fan of automatically renewing subscriptions and would prefer to pay a set price for an app even if this means paying to upgrade at some future date. It’s unclear if this is an available option or not. One of the best apple apps. 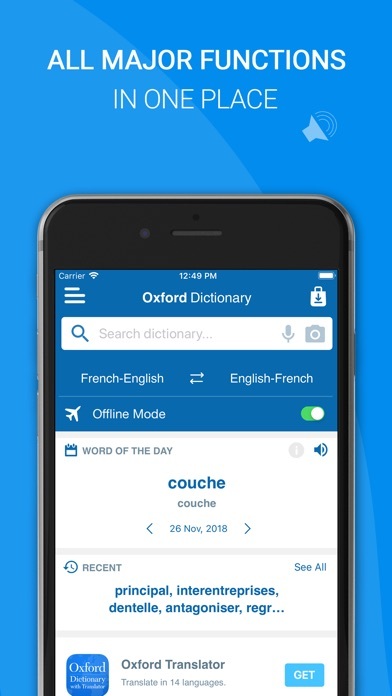 Well, this is my fifth review and I still love this dictionary best. I’ve just discovered use of wild letters so I can find words that share the same root, which helps me increase my vocabulary. 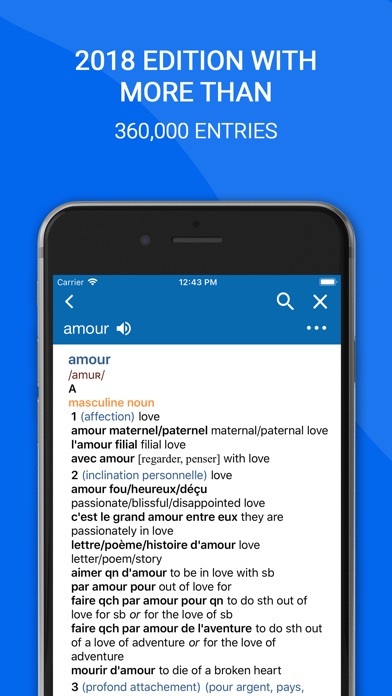 I use this dictionary --French-English— almost every day. 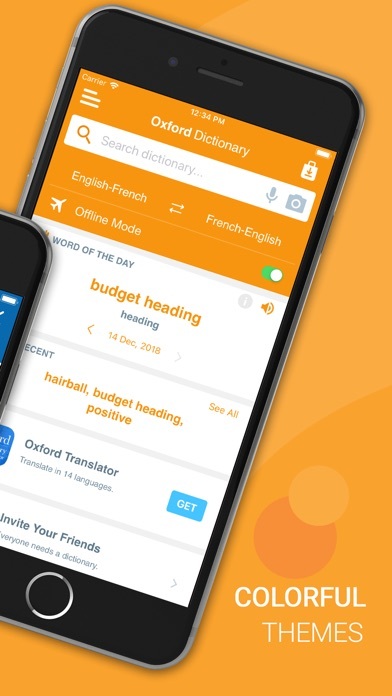 It has wonderful examples, which I read for fun at times, superb customer support (yay, Nedialko! ), and many other features I am simply not taking time to note now. 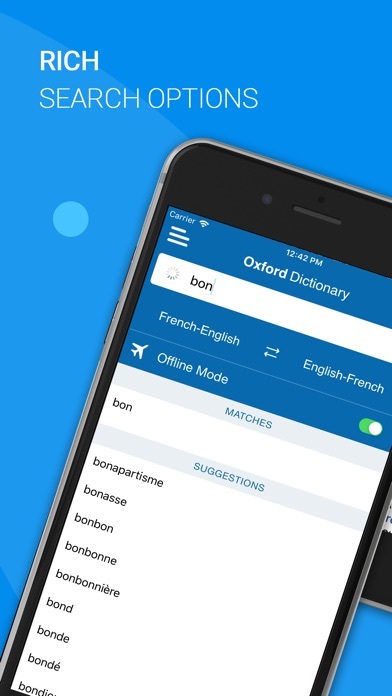 If you need a translation dictionary, buy this one! 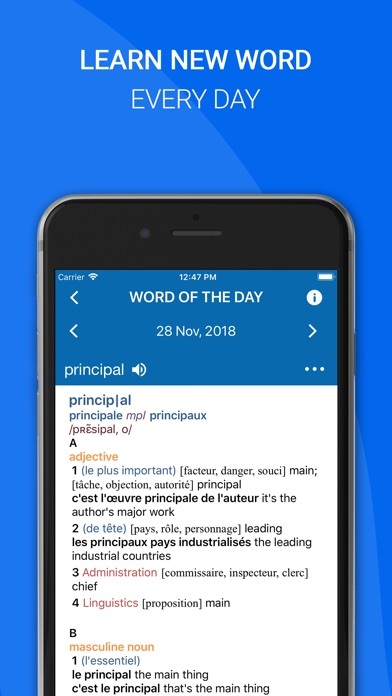 I love having the Hachette French English Dictionary as an app on my phone because I’m always ready to research a word. 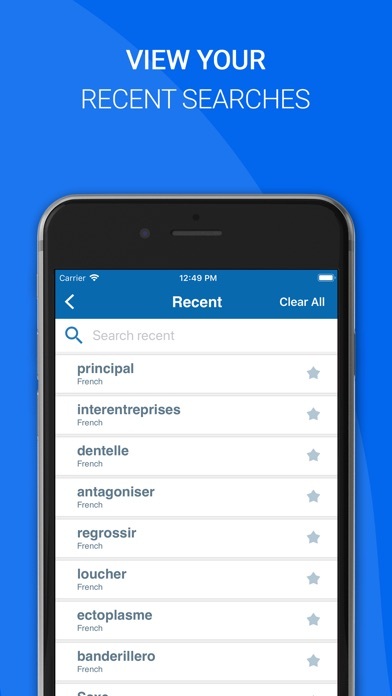 The daily word keeps my mind thinking of French first thing in the morning so I feel somehow immersed. I highly recommend that any student, of either French or English carry this with them. Thanks for the great free resource!